We have created a variety of step-by-step help videos in order to make your shopping experience easier with Innovations. If you wish to view the videos, please Click Here. Occasionally, prototype samples are photographed. Production models may vary slightly. You always receive the latest model. All products are supplied for domestic use only and not for and commercial use. The reselling of our goods through a marketplace is not permitted. Innovations are proud to offer easy, interest-free payments. Credit card holders can take advantage of easy terms of up to 10 months for selected items. Instock products will be dispatched after your first instalment has been processed. For products on back order, the first instalment will be charged once the product in back instock and dispatched from our warehouse. When checking out, you will be charged your first instalment & delivery fee. Each month, your credit card will be charged the remaining monthly increments. This payment option is not available for PayPal payment methods. Unless you’re completely happy with your purchases, we can't be either. That's why we offer all our customers the Innovations Customer Guarantee. We’re proud of our quality and are sure you’ll be happy when you purchase from us. However, for extra peace of mind, all Innovations products (excluding personalised items) come with a generous 12 month quality assurance guarantee. Now that’s service! This site is authenticated and secured by Comodo. We guarantee that you never have to worry about credit card safety while shopping with Innovations online and that every transaction you make on our web site will be safe. This means you pay nothing if unauthorised charges are made to your card as a result of shopping with Innovations on the Internet. If you purchase any product from Innovations and then find the identical item advertised elsewhere at a lower price, we will at our option refund you the difference or take the goods back and refund you in full. Offer valid for 14 days from date of purchase. 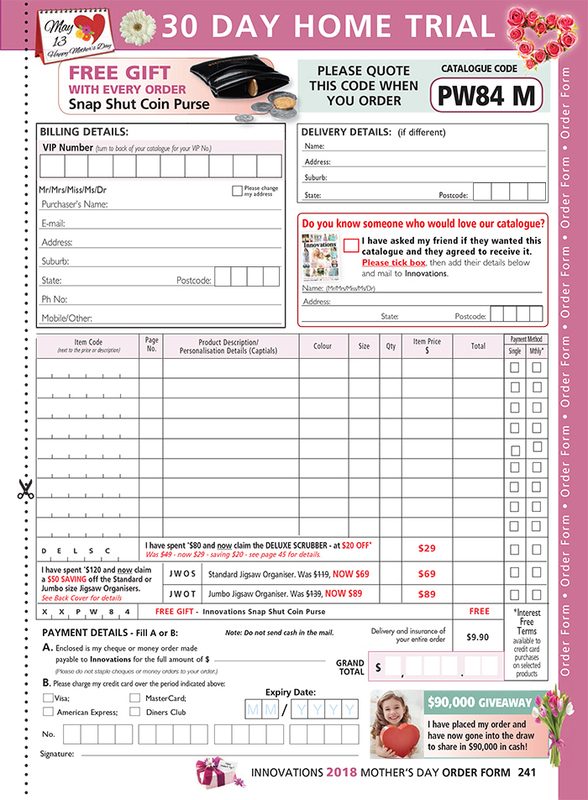 Please allow up to four weeks for despatch from order date of products that can be personalised (whether they are personalised or not) due to the complex systems involved. 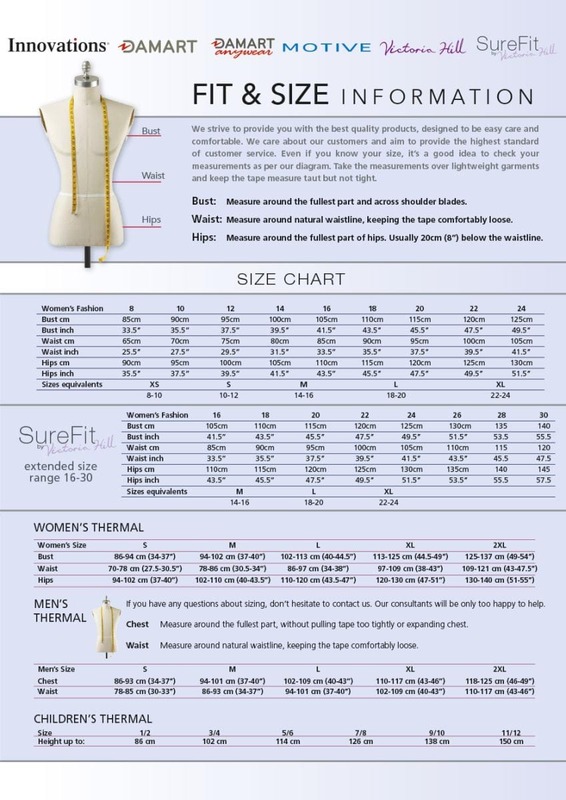 Please click here for a complete sizing guide.